“Download map as background” option in the track map options dialog allows you to set the satellite or aerial photograph of the track area as your track map background. 1. Open the track map options dialog by clicking on the "View Options" button at the top left corner of the track map window. 2. 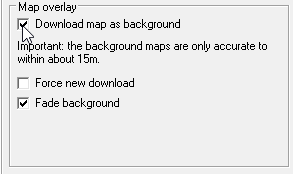 Select the Download map as background option. 3. Press close button to close the dialog and apply the changes. Background image will be downloaded from the internet and track map will be positioned on the image using the GPS data. If this is enabled then it forces the program to download the map from the Internet instead of using the maps that are already stored (cached) on the PC hard drive. If you think that the locally stored maps are out of date, enable this option. Enabling this option makes the data standout from the background far better. 1. Once downloaded, background maps are cached in the users’s temp folder. Cached images improve the performance, because Analysis software always checks disk cache before downloading them from the internet. If you use windows or any other third party disk cleaning tool, this cache might get deleted and then it will be necessary to download images again. 2. Please note that not all areas are covered by maps. If the background image for the track you are analysing is not available, then you will be given a message informing that. 3. If you download a number of maps then there is a possibility, that it might be blocked for up to 24 hours. Most of the time this will not going to be an issue, since once downloaded, all images are cached and kept until you delete them. 4. 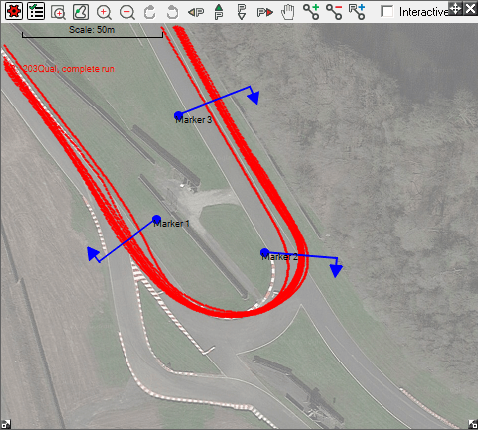 Note that Accuracy/Fast redraw settings are only apply for the track map. 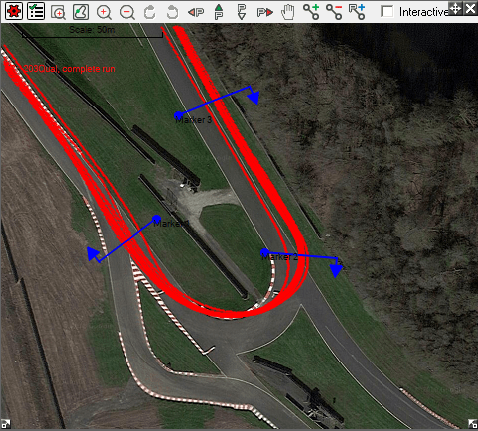 however when the track map has smoothed corners and edges it will aligned properly with the actual track. 5. GPS Position accuracy is typically only about 10-20 meters in most areas of the world. If the Track map and the background map are not sitting squarely upon one another due to GPS inaccuracies use the map offset feature to adjust it. Map offset feature is described in this knowledge base article.